Pakistan is a blessed country to have three of the major mountain ranges in the world, the Himalayas, the Karakoram and the Hindu Kush. 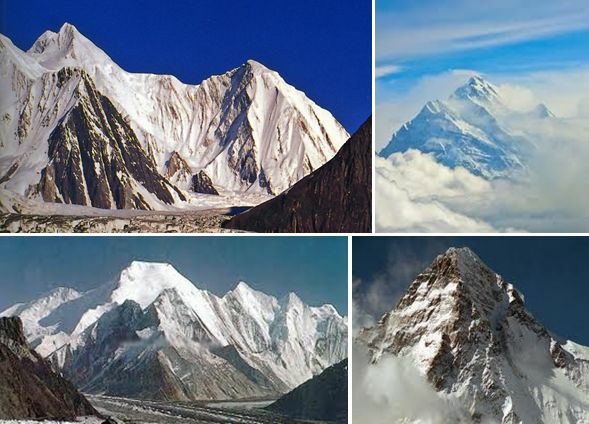 Thirteen of the world's 30 tallest peaks are in Pakistan (of eleven over 8,000 meters high mountains tops, five are located in Pakistan). K-2, the world's biggest pyramid and second to Mt Everest and the Trango Towers are just the two examples of richness of our mountain treasure. The Karakoram mountain range is spread over some 400 kilometres and over 192 kilometres wide. Protected Himalayas on south-east, Hindu-Kush on south-west, Kun-Lun chain of China on the north, the Pamirs on the west and high desolate Tibetan Plateau on the east, the Karakoram forms the greatest barrier on earth to the migration of the people. The junction point of the Karakorams and the Himalayas is shrouded by yet another mountain range, known as the Pir Panjal. The mighty Indus river, one of the fifteen longest rivers of the world, forces its way through the Karakorams and the Himalayas. The Karakorams are also known as the highest mountains range of the world since it houses seven peaks over 26,000 feet and thirty others over 25,000 feet. That is on an average the Karakoram tops are 25,000 feet and above. The Pakistan Post issued a set of four stamps on 20th August 1981 describing four of its important mountain tops. 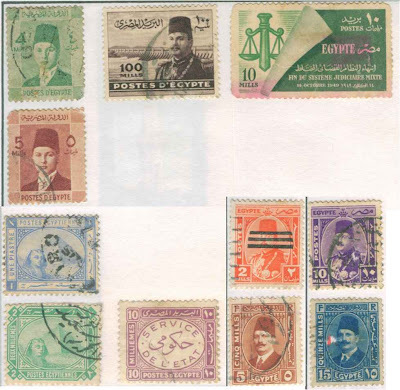 The Paisa 40 stamp (above top left) features Malubiting (also known as Malubiting West), which is the second highest peak in the Rakaposhi-Haramosh Mountains ( a sub range of the Karakoram). Malubiting rises above the north bank of the Indus River between its tributaries the Hunza River and the Shigar River. Malubiting lies about 40 km east-southeast of Rakaposhi, and about 50 km east of Gilgit. Malubiting rises steeply over the Phuparash River to the southwest, while on the east the large Chogo Lungma Glacier starts on its slopes.